I'll start off with my update and then move onto Kingsley. This was my quickest labour and I went from 4cm to delivery in 1 hour 50 minutes. I did have a 1st degree tear and stitches. 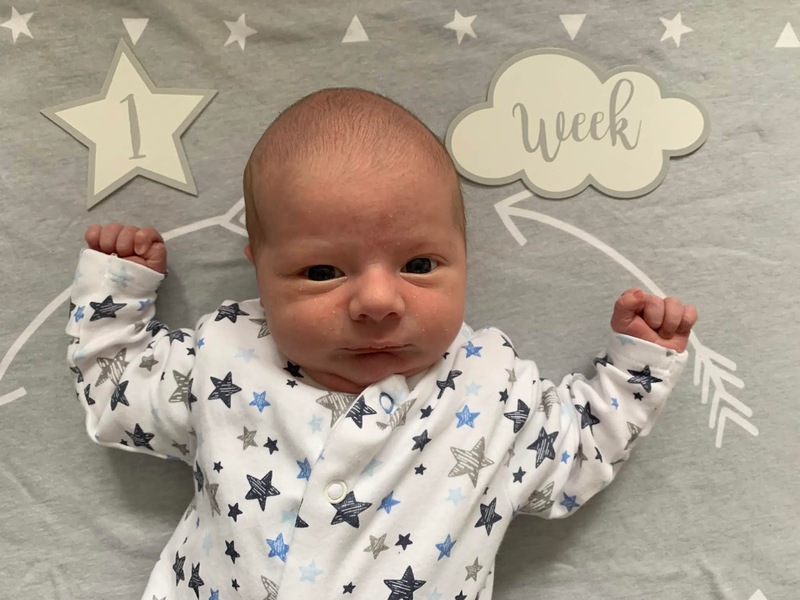 In the first week I was really achy and sore from birth but generally I was doing really well. I had quite a few back spasms and after pains. I was also quite swollen in my hands and feet which i've never really experienced after birth before. At the end of pregnancy my belly measured 41 inch, after delivery I was down to 38 inches. Kingsley passed all his newborn checks with flying colours. He was 8lb 5oz at birth and his head was 33cm. We got released from the birth centre 6 hours after delivery. He had his newborn check before we left and everything was good. He had a slight heart murmur but everything else was perfect. He didn't feed much that first day which is totally normal, his fast delivery took it out of him. During the first week he ate 1 -2oz every 2-3 hours. He had his heel prick test on day 5 and was weighed again, he'd only lost 1.7% of his weight so was doing really well. On day 7 his cord came off. He has fitted in so far really well and we are all loving the newborn bubble and don't want it to end. The kids are all obsessed with him and adore him.